Before joining the Department of Journalism, Charles Seife was writer for Science magazine -specializing in physics and mathematics- and had been a U.S. correspondent for New Scientist. He holds an A.B. in mathematics from Princeton University, an M.S. in mathematics from Yale University, and an M.S. in journalism from Columbia University. His research interests include science and mathematics journalism. Seife’s freelance work has appeared in The Economist, Scientific American, The Philadelphia Inquirer, The Washington Post, The New York Times and other publications. 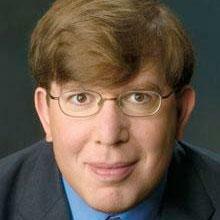 He is also the author of Zero: The Biography of a Dangerous Idea (2000), which won the 2000 PEN/Martha Albrand Award for First Nonfiction, as well as Alpha & Omega: The Search for the Beginning and End of the Universe (2003), Decoding the Universe: How the New Science of Information is Explaining Everything in the Cosmos, From Our Brains to Black Holes (2005), Sun in a Bottle: The Strange History of Fusion and the Science of Wishful Thinking (2008), and the forthcoming Proofiness: The Dark Arts of Mathematical Deception (2010).